A funny story about realizing one's dreams and accepting other's natural talents. Great for one-on-one sharing between parents and their children when it is time to discover the true meaning of Christmas. Great for the classroom, storytime, or one-on-one sharing for anyone with anxiety about starting school. Pair with Adam Rex's School's First Day of School for some fun, unexpected first-day-of-school comic relief. 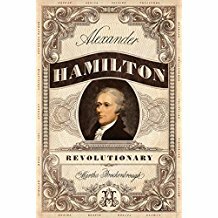 A highly enjoyable, well-researched biography of Alexander Hamilton that both applauds his significant accomplishments and highlights his flaws. Consider for sophisticated readers. This volume will swim off the shelves. Catch it to beef up shark collections. An interracial YA romance with weighty themes.